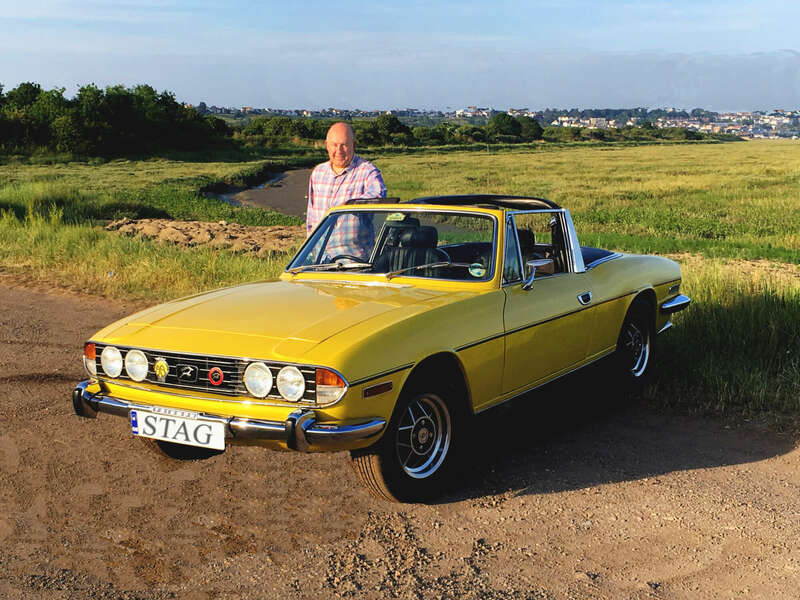 Andrew Smith in our Agency team tells us about the labour of love that has been the restoration of his classic Triumph Stag, his favourite feature and how he wouldn't be without his classic car club membership. 1976, now 40 years old. How long have you had it and how did you come to own it? I bought the car in 1996 from a Stag Owners Club member down in Somerset. What was it about the make/model that appeals to you? The Stag has Italian lines designed by the famous Giovanni Michelotti who was also behind designs for Ferrari, Lancia, Maserati, Rover and other Triumph cars. The engine and exhaust sound always brings a smile to your face when driving the car, its unique. Any restoration/repair work over the years? Do you do this yourself or have a garage you entrust it with? The car was purchased in poor condition with the intention within a year of fully restoring it to its present condition. It was a nut and bolt rebuild ensuring that it was kept as original as possible. The restoration was completed over a period of 4 years on an off and I spent many hours preparing it for its first rally which was in the Ardennes region in Belgium. Although spray work and most of the welding was carried out by a specialist, I accomplished the restoration myself and while hard going on occasions, it was all worthwhile and saved another classic car. Your favourite feature of the car? Apart from the design, being that there are not many open top four seater classic cars, it has been the ideal family car. The Triumph V8 also has a distinctive exhaust burble. Any more irritating or ‘quirky’ aspects to the car? My Stag does not possess any of the quirkier aspects as some other classics, but with electric windows, power steering etc. all in a 40-year-old car, it’s a pleasure to drive with plenty of performance. Where did you go the last time you drove it? As a family, we have spent many years taking the Stag over to Normandy and Loire Valley for a 2 week holiday and it’s the ideal car for touring. You can pack enough luggage for 4 in the boot. Favourite place to drive it? Country roads with soft top down. Last time I took it to Bruges where we had permission to park the car on the square with other classics. In previous years I have driven to Luxembourg and Holland. It proves that with a well looked after classic, it’s as good as a modern day car. Restoration is a slow process but a therapeutic journey as the end result is so satisfying. It’s also a real benefit to be part of a classic car club. I have been a member of the Stag Owners Club for many years, eventually becoming Vice Chairman on the National Committee. Irrespective of how of ten you drive it – or if you even drive it at all it is important to ensure that you have the right insurance cover. Luckily mine is insured by my employer who specialise in classics. What is your everyday use car? Daily drive is a BMW 530. What classic car do you covet the most? As soon as I have the lucky lottery ticket, I will be buying a late 1970-80’s Aston Martin DBS. I will still keep the Stag of course. Advice to budding classic car purchasers? If you are seriously looking to buy a classic car, it really helps to join the car club relative the model, talk to other owners and if possible, but a car from within the club as there is more chance that it has been looked after and will have known history.